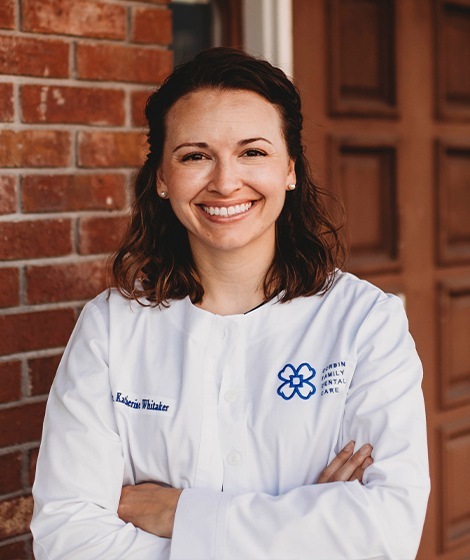 Dr. Whitaker was interested in the medical field from a young age, and she ended up shadowing several different dentists throughout her education, including a very fun one who showed her how fulfilling the field could be. Soon enough, she realized that dentistry was the right place for her. While it has a narrow enough scope of practice that you can become a master of your craft, it also has plenty of variety that keeps things interesting. She genuinely loves coming to work every day! 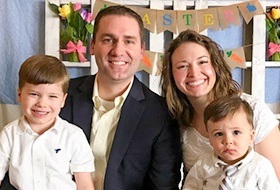 At home, Dr. Whitaker has two adorable sons named David and Deacon with her husband, Matt. In her free time, she loves following University of Kentucky athletics, even the historically terrible football team! She also enjoys playing piano, doing crochet projects, reading historical fiction, playing Putt-Putt golf, bowling, and keeping up with her kids. If she could attend a trivia night every night, she absolutely would. She is also a former recording artist! In high school, Dr. Whitaker was part of a dulcimer group called Next Generation, and they even made a CD of traditional and original songs.